Every Yogscast story begins with a great PC. Whether you want to make a beloved, multipart Minecraft series or simply drive your mates insane in GTA V, behind every video we make is a powerful computer that delivers the performance needed to create the best content possible. Of course, every content creator, from Lewis & Simon to Hat Films and Hannah, has different requirements that need to be met. From small but powerful machines that give you everything you need to get started, machines capable of running great AAA games as well as being great for editing videos, to the powerhouse that provides the very best in performance and quality. These are the machines we use every day for good reason. Dominate online gaming. Make amazing videos. Enjoy the best gaming experience you can, along with the whole Yogscast family. 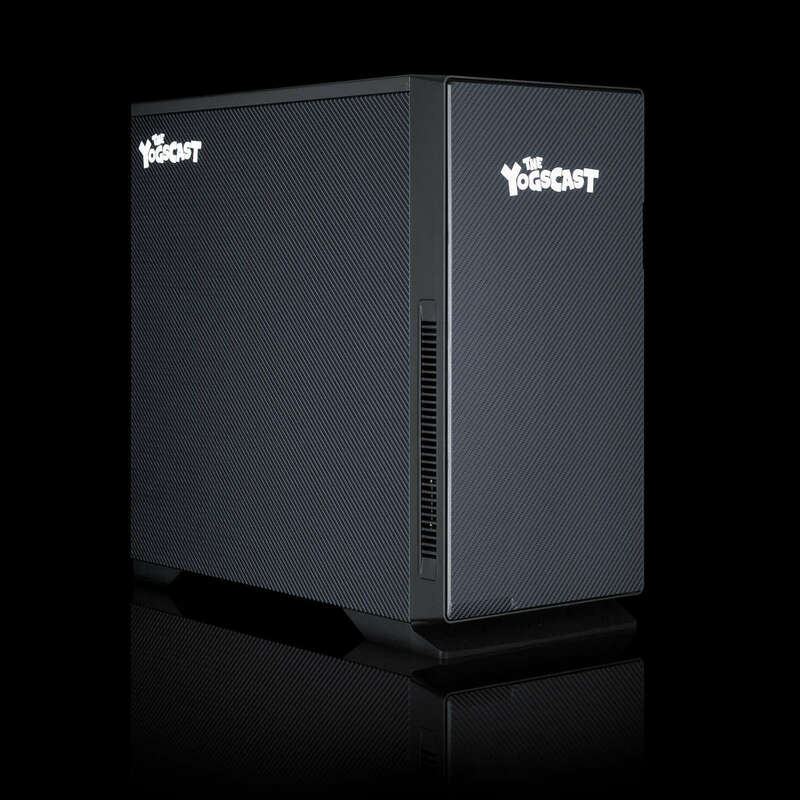 The Yogsblast Lite is a powerful PC with everything you need to get into PC gaming. It will run the world's most popular games like Minecraft, LOL, CS:GO, DOTA and World of Warcraft at full detail and also has the power to capably deal with triple A games like GTA V and the FarCry series when you are ready to progress in your PC Gaming journey. 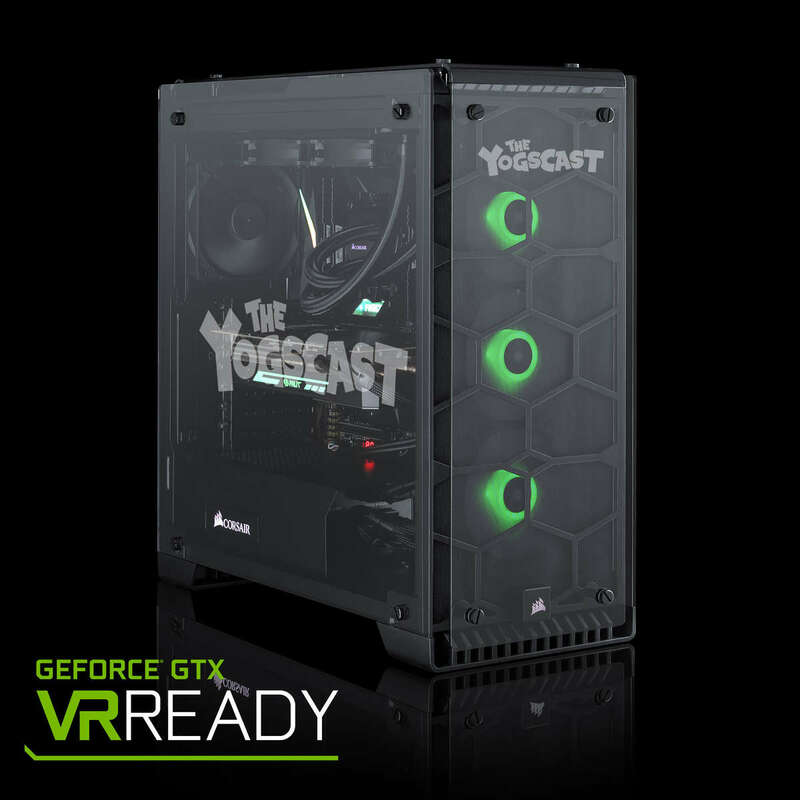 Like all Chillblast PCs the Yogsblast Lite has been built with future proofing in mind - it has a high quality case and PSU meaning you can grow the spec of this PC with upgrades as you need to. It also comes with a world-leading standard warranty. Available with next day delivery! Upping the ante considerably over its smaller counterpart is the full size Chillblast Yogsblast. This monster has a hex core AMD Ryzen 5 1600X CPU running at up to 4.0GHz and a GeForce GTX 1070 video card. This combination makes mincemeat of even the most demanding games and will run them at max detail at Full HD or 1440P resolution. There is a super fast SSD drive for storing Windows 10 and your favourite games, and plenty of DDR4 RAM, plus a secondary drive that makes the system ideal for enjoying custom texture packs, mods and user-made add ons that can make your favourite games that bit more demanding. It comes with Chillblast's multi-award winning warranty as standard. The Yogsblast Ultimate is forged from a mysterious new element mined from beneath the Nether. It has incredible powers that bestow the owner with unmatched gaming abilities, as well as the ability to manipulate the colours of the system. 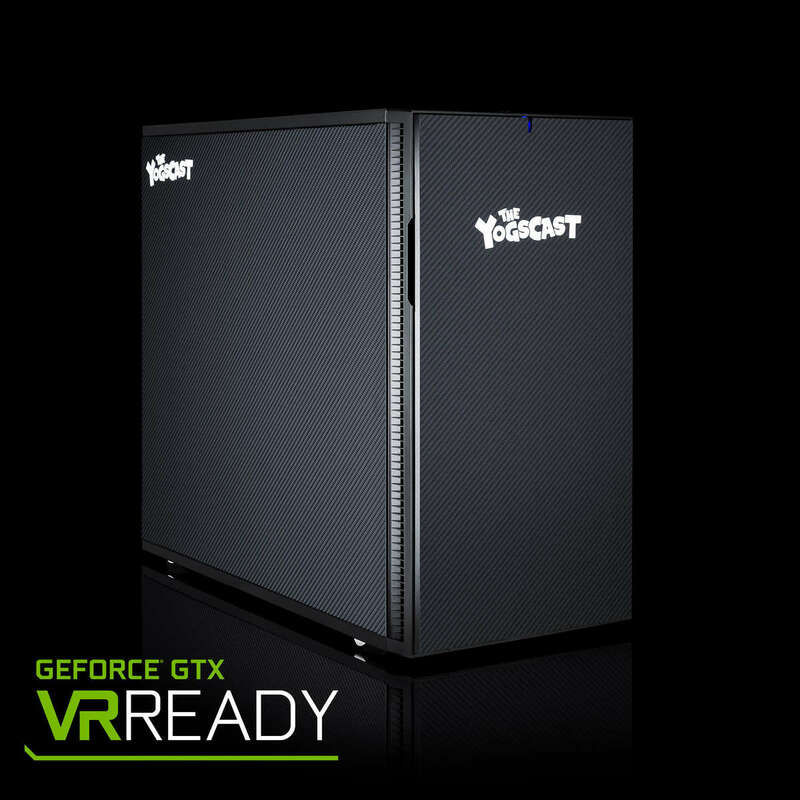 The stunning combination of NVIDIA's incredible GTX 1080 Ti video card and the raw grunt of AMD’s fastest ever 8-Cored gaming CPU means the Yogsblast Ultimate is at home powering the world’s most demanding games at 4K, or even over multiple screens. Battlefield, FarCry, Crysis, Call of Duty. These Triple-A gaming titles may have fearsome system requirements, but the raw power of the Yogsblast Ultimate renders them inconsequential.